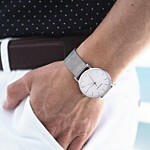 Nice watch at a great price. 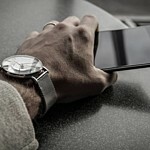 A simple yet elegant watch designed to satisfy the contemporary users' tastes, this watch can be used for any occasion and still outshine the rest. 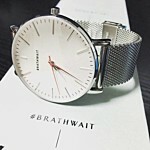 Immensely happy with my purchase and if Brathwait's promise of long-term reliability holds true, will definitely be buying another Brathwait watch in the future! I'd being watching this watch for months but wasn't sure if to go for it as I didn't know the brand. 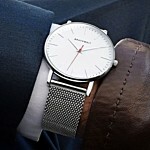 I took a chance ordering from Braithwaite as I loved the style and it was everything I expected it to be and a lot more, this watch feels good and looks really nice. The quality also feels really good. Like it. Already got compliments on it. 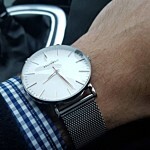 The Classic Slim Steel w/Mesh strap is a well made beauty. 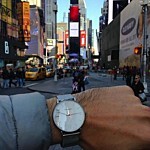 Absolute simplicity, and strength with stainless case and band, 100 M water resistance, sapphire crystal. And a Swiss quartz movement that hasn't lost or gained a second since I originally set it weeks ago. I have a nice collection of Swiss automatics - and won't usually buy quartz watches. But I highly recommend this one. 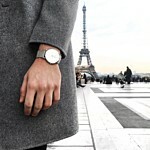 Saw this watch first on another man’s wrist, well the golden NATO strap version. Nice watch, I thought. Wish they had it in silver. And no too-small-to-read-and-catch-up-every-month’s-end calendar counter. Just a classic, simple timepiece. 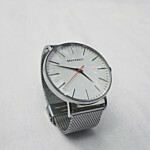 Love stainless mesh straps too so what not to like? First unsure about strap mechanism but not bulky and got enamored of it over time, easy to adjust.